Snapdragon is the semiconductor designed and marketed by Qualcomm used in mobile devices of various systems including Android and Windows. These semiconductors are also used in wearable devices and netbooks. The first ever Snapdragon product was QSD8250, released in November 2007. At the 2013 consumer electronics Qualcomm introduced the first of Snapdragon 800 series. Snapdragon 845 is the new semiconductor going to launched by next year. Its recent version Snapdragon 835 is making way in the flagship devices and the specifications for Snapdragon 845 are already out. If reports are to be believed, its chipset is going to be manufactured on 10 nm finFet architecture. However reports also suggest that it will support faster storage and RAM standards. 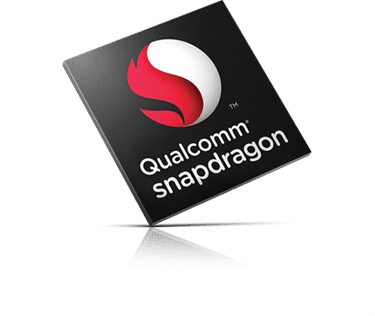 But things might take different turn as Snapdragon 845 is said to rely on ARM'S Cortex A-75 series which brings end to Qualcomm and Snapdragon's Partnership. According to sources in Snapdragon, the firm has reportedly begun collaborating with LG to produce the next processor in-line; the Snapdragon 845. Also, due to LG's collaboration in making the next Snapdragon processor, the processor may be first seen in the next LG flagship. According to "The Investor", the next processor may be featured in the LG G7 flagship phone. Also, Snapdragon will stop using the MSM designation for its processors and change to SDM. According to a Weibo source, the Snapdragon 845 will be dubbed SDM845. The information is contrasting whether the 845 processor will feature 7 nanometre or 10 nanometre technology. This latest processor is expected to provide around 30 percent more power than its predecessor. The Snapdragon 845 may have Snapdragon's latest X20 modem that provides an enormous internet speed boost. The LTE download speeds can go up to 1.2 GHz and its upload speed can reach a limit of 150 Mbps using two 20 MHz carrier aggregation. Snapdragon X20 has been specifically designed for the fifth generation (5G) of mobile networks. As such, it if it is included in the processor, then the 845 is sure to be future-proof! Well, the Snapdragon 845 has been in development for several months now according to numerous reports. As such, it won't be a far off expectation that upcoming flagships like Samsung Galaxy S9 and the LG G7 will feature the powerful processor! What do you think? Drop a comment and let me know!